ALBUM | Run the Jewels aren't going to win any creativity points for titling their sophomore album RUN THE JEWELS 2. Maybe they spent all they had crafting one of the best hip-hop albums of the year, a brilliant follow-up to their 2013 debut. Both Killer Mike (as in, he kills mics) and El-P (as in, you know, vinyl) were heroes of the hip-hop underground before they joined forces; together, they're even better. The new songs bounce from the personal to the political (pro tip: find the YouTube video of Killer Mike's pre-show speech from the night the Ferguson grand jury decision was announced, Nov. 24), and include a guest appearance from the dodo of the music world, Rage Against The Machine's Zack de la Rocha. The best part? 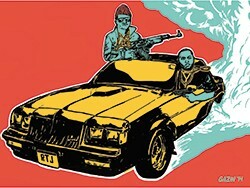 Run the Jewels 2 is a free download at RunTheJewels.net. PODCAST | I'll admit one of the big reasons I love THE TODD BARRY PODCAST is that I'm a huge fan of the sardonic stand-up's comedy. You might recognize him more for acting roles on Louie or The Wrestler, in which that stage persona still comes through. 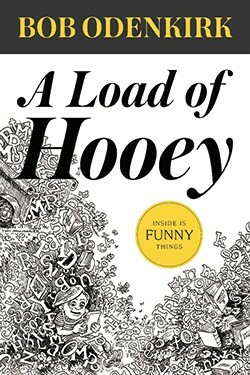 Barry's podcast, though, reveals new aspects of his humor, thanks to the on-the-fly interplay between him and a series of comedians, writers and indie-rock musicians who have traipsed through Barry's New York City apartment. Among the best guests of his first 75 episodes: Aziz Ansari (describing fans at his shows: "Oh, you're a goofy hipster! Surprise, you're my audience! "), the New Pornographers' A.C. Newman and Twitter's @boobsradley, aka Julieanne Smolinski.